Festival – My very first ebook! Launching on December 1st, the perfect time for some colourful and creative home cooking! Hi! My name is Anjalina. Thank you for being here! I want to tell you a little about my first ebook, Festival. Before you begin this colourful, flavourful journey I’d like to tell you a little about me. I’m an Indian private chef, born and raised in London and Bangalore, now living in the marvellous, creative city of Barcelona. I’ve spent the last 18 years of my life here, creating a home with my husband, raising my two beautiful daughters, building a kitchen space and two years ago, I launched my first cookbook, Soul Spices. The last two years have been an incredible journey for me. I’ve connected with some fantastic, talented people in the food industry, been able to spread the spice word throughout the city and start teaching my very own Indian Masterclasses too! I do feel extremely fortunate to be able to carry the flag of authentic Indian cooking here in the “Ciudad Condal”, Barcelona. 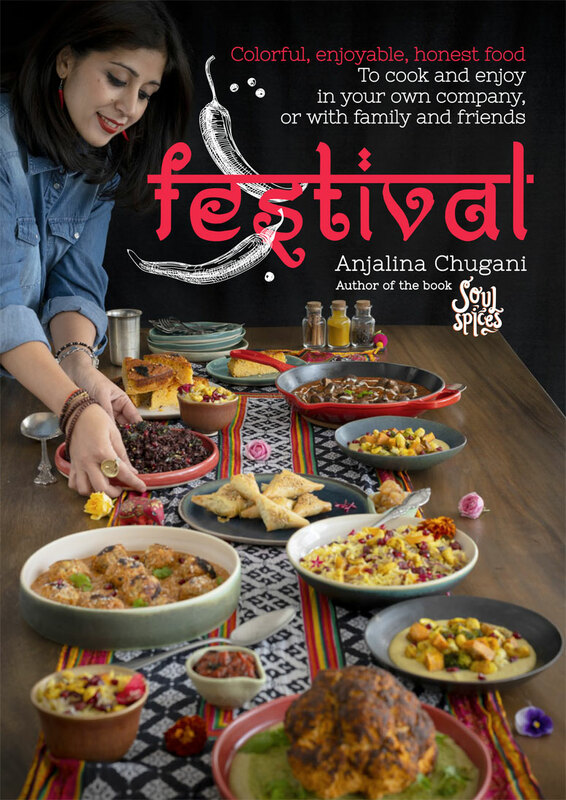 “Festival”, my first ever ebook, is a collection of brand new recipes which I’ve been trying and testing over the last year or so. Having people over means you being able to spend time with them at the table. You can allow yourself to unwind and actually eat the fruits of your labor. 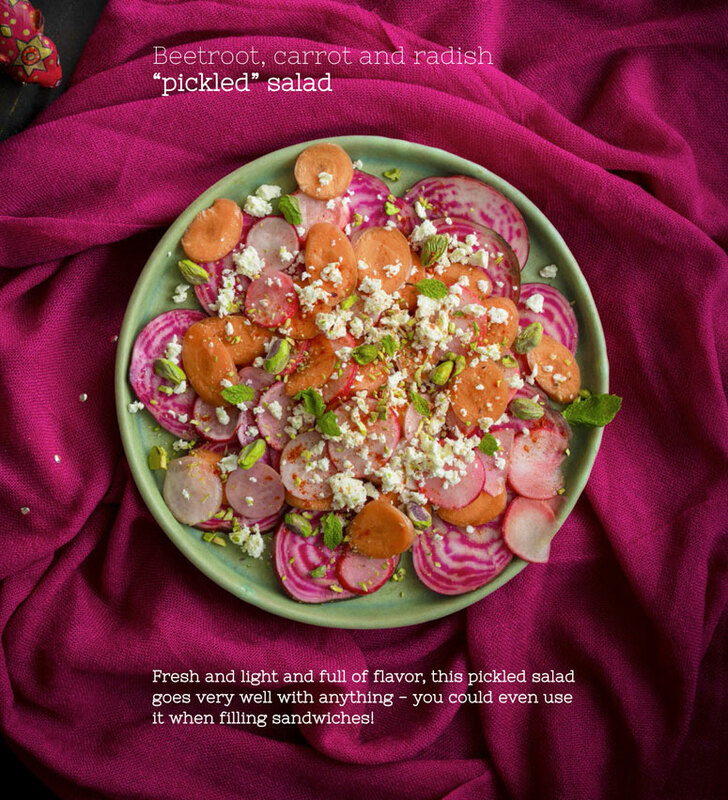 There are recipes in the ebook, Festival, which will be perfect for sharing. Lots of “make aheads” and not too much focus on the frills. It’s all about the comfort and colour; it’s about YOU. Festival a simple guide to your new-look dining experience at home. I wanted to put this book together for you, not only to share these beautiful recipes and images with you but also to bring you into my home, to my table and get a glimpse into my lifestyle. I enjoy interacting and communicating with my readers and students. For me, that is hands down, the BEST part of my “job”. So please feel free to contact me, share your experiences as you cook these recipes and ask me anything. Enjoy the process, cook from your heart, and share, share, share. https://anjalinachugani.com/wp-content/uploads/2018/11/ebook-cover-en.jpg 1096 775 Anjalina Chugani https://anjalinachugani.com/wp-content/uploads/2016/05/logo-admin.png Anjalina Chugani2018-11-27 15:17:232018-12-03 12:11:42Festival - My very first ebook!